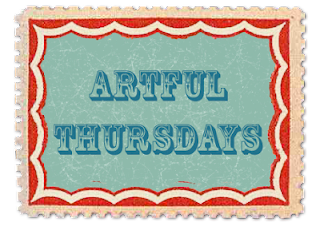 Artful Thursday – Tote Bag Complete! I’m so glad this is done! Now I can carry around my new bag. Why the quote? Well, the back wasn’t as big as specified in the pattern, so it was easy to trim the front to fit. But in making the lining, I forgot to adjust the width and it came out quite bunched up on the inside. Most people would re-cut and sew the lining to make it smaller, but not me… I thought I could ease in the fullness around the top and get it to look fine. I may re-evaluate what I’m going to be doing for Artful Thursdays from here on. It was good to have a project completed and my stash reduced a bit – I’m afraid that if I focus on my quilt for the duration, that I won’t want to continue – I mean, I’ve been putting it off for years… and also, even if I do work on it, I’m not reducing my stash of supplies by too much – so we’ll see. Maybe next Thursday will be to finish some almost-completed projects that are just taking up space right now. 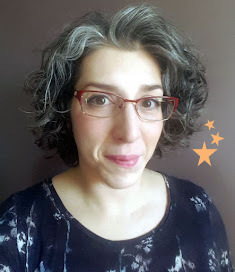 I am going to remind myself that Thursdays will be for personal projects – not ones that I plan on selling – this at least will keep the day fun for me, too! I’m wondering if you readers do the majority of your crafting for yourself, or for others? You are very talented! All I can say is WOW! I can't even imagine what I would end up with if I tried to sew. Whatever it would end up to be, I would be to afraid that the bottom would fall out! I would never trust anything that I sewed! I'm glad that I found your site! That bag is just awesome. I am very envious of your wonderful quilting skills. I love your question. It really got me thinking. I love giving handmade gifts to friends and family, so I think I tend to craft more for others. I can't wait to see your next project. Have a wonderful week. Love this! You did a great job on it! Thanks for taking the time to stop by my blog as well! I'm another of the Artful Thursday group and I think I'm going to make the same promise - I'm only going to work on things for myself. Otherwise I'll just spend the time doing more "errands", only the errands will be projects I've put off for other people. I have to learn to focus on myself some of the time, right? In other news, I really like the bag! It's turned out fun and creative and beautiful. i love the tree with the wool circles, your embroidery is perfect. i am so thrilled to see the finished tote bag! i am trying the same thing, just keeping thursdays for me. not making anything for my shop or a deadline. it has been so long since i gave myself regular time to experiment. I love the finished bag! I am also reluctant when it comes to recutting, resewing, tearing back, etc. I don't usually have results as good as yours, though. Great job! Thanks guys! I do appreciate your feedback & comments! Now I just have to channel this into the giant neverending quilt & get it done soon!